To download the full pdf version of 2018 Congo Republic profile, click here. Congo is a rapidly urbanizing country with 60 percent of its population living in the main cities of Brazzaville and Pointe-Noire. Congo’s formal financial system is not well developed. Construction costs in the urban and semi-urban areas are high and increasing. With a limited number of banks and less than 10 ATMs per 100 000 people, local credit is expensive. Because opening a bank account is too cumbersome a process, a great portion of the population tends to informal savings. Congo’s microfinance sector is thriving with 75 microfinance institutions. Nevertheless, the mortgage finance market is still in its infancy but has a huge potential for growth. Few banks provide medium-term and long-credit. Nearly 70 percent of loans in Congo require collateral which sometimes exceeds the value of the loan. Construction costs in the urban and semi-urban areas are high and increasing. In the rural areas, the construction costs are lower as most of the houses are built with substandard materials such as locally made sun-dried clay bricks. The demand for housing has increased without a subsequent increase in supply. This increasing mismatch between demand and supply for housing continues to push up house prices both for ownership and rental. The number of new housing units that enter the market annually for rental and ownership is insufficient to meet the demands of the increasingly urbanized population and the growing middle and upper-class population. Additionally, the country’s real estate sector has suffered the negative impacts of the national economic crisis. Social housing development and the rental market are in decline. Despite numerous constraints, Congo’s construction industry currently enjoys a favourable climate for its development due to the accelerated municipalisation policy and the modernisation of social habitats. Public-private partnerships promise new projects that will addressing Congo’s housing challenges. The Congo Republic presents a remarkable statistic in terms of urbanization with more than 60 percent of its population living in the main cities of Brazzaville and Pointe-Noire. The government introduced a policy called “accelerated municipalization” which aims to rapidly develop the country’s urban transformation. Within this framework, it has built airports, roads, bridges, stadiums, administrative buildings and dams, and is continuing to finance large construction projects. In 2018, the total size of the population is estimated to be 5 396 963 with an average annual population growth of 2.64 percent. The real gross domestic product (GDP) dropped by approximately four percent in 2017 following a contraction of 2.8 percent in 2016 despite an increase in oil production and a recovery in oil prices in 2017. Crude petroleum is an important resource and accounts for 61 percent of Congo’s exports and 60 percent of its GDP, with timber being its second largest export product. The economy is likely to expand by 3.1 percent in 2018 and 2.1 percent in 2019, resulting from higher oil production, following the exploitation of the Moho-Nord oil field, which accounts for 19.3 percent of the country’s production, and assistance from other sectors. Legislation for Special Economic Zones (SEZs) was enacted in April 2017 by the government and these are expected to be operational in 2018. The aim is to provide favourable terms for investing in the main port and oil hub of Pointe-Noire, Brazzaville, Oyo and Ouesso. Congo Republic’s score on the UN Human Development Index 2015 is 0.592, ranking 135th. It ranked 90 out of 105 countries based on its Gini co-efficient, which places the country among the most unequal societies in the world. Such a result highly impacts the unemployment rate, especially among the youth and women. It has an unemployment rate of 32.7 percent for those aged 15-29, 15.6 percent for those aged 30-49, and 8.3 percent for those aged 50-64, with the total unemployment of the labour force sitting at 11.2 percent in 2016. Poverty is predominant in rural areas, which accounted for 44.3 percent of the poor in 2005, and this figure had increased to 57.4 percent by 2011. The share of the population living below national poverty line is estimated at 34 to 35 percent in 2016 which corresponds to a poverty decline of 1.52 percent from 2011-2016 as opposed to a decline of 1.63 percent from 2005-2011. The informal sector is very large. Three out of five workers (63 percent) are self-employed, running a business with no employees, or being involved in subsistence agriculture, and another quarter working for families without any salary. Up to 13 percent of workers are employed either in large private firms (five percent) or in SMEs (eight percent); industrial jobs are three percent of the total and public administration accounts sits at 14 percent. Export.gov (2017). Republic of Congo Market Opportunities. https://www.export.gov/article?id=Republic-of-Congo-Market-Opportunities (Accessed 13 July 2018). Worldometers (2018). Congo Population. http://www.worldometers.info/world-population/congo-population/ (Accessed 13 July 2018). The World Bank (2018). Congo Overview. http://www.worldbank.org/en/country/congo/overview (Accessed 6 July 2018). Export-gov (2017). Republic of Congo Market Opportunities. World Bank (2017). Republic of Congo Poverty Assessment Report. https://openknowledge.worldbank.org/bitstream/handle/10986/28302/114706-v2-Republic-of-Congo-ENG-7-17-17-M2.pdf?sequence=1&isAllowed=y (Accessed 11 September 2018). 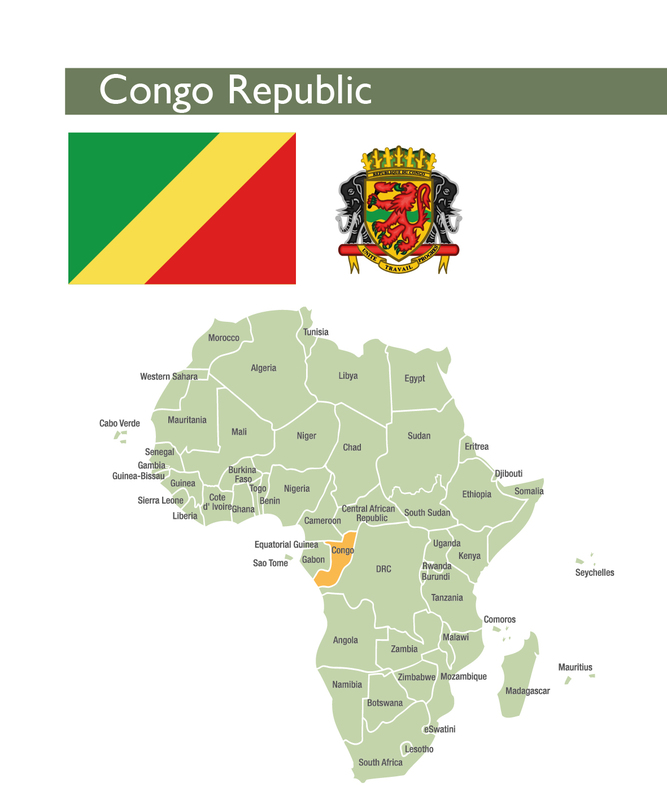 The Congo Republic is part of the Central African Economic and Monetary Community which includes five other African countries – Cameroon, Gabon, Equatorial Guinea, Central African Republic and Chad – and has its banking system regulated by the Bank of the Central African States (BEAC). These countries share a single currency and a unified financial and banking legislation. Congo suffers from the high overhead costs of Congolese banks, which are comparatively speaking among the highest in the world. This is a result of the poor business environment and the lack of public credit registries in Congo. Congo’s formal financial system is not well developed. There were 3.96 commercial bank branches per 100 000 adults and 8.19 ATMs per 100 000 adults in 2015. Congo scores low in terms of ease of getting credit, ranking in 133th place out of 189 countries. 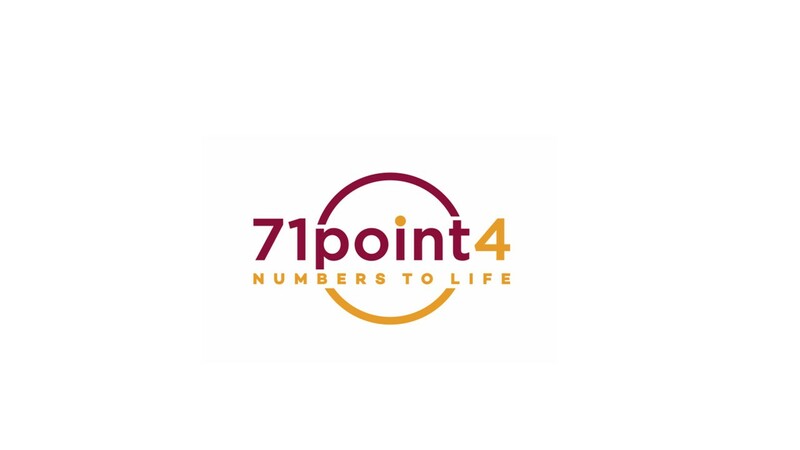 Congo scored: six in terms of strength of legal rights index (0-12); one in terms of depth of credit information index (0-8); 11.9 percent in terms of credit registry coverage (percentage of adults) and 0.0 percent in terms of credit bureau coverage. In 2017, the country’s banking system had 11 commercial banks, one more than in 2015. Commercial banks provide corporate banking services either locally or from overseas. The rate of local credit offered to the private sector is low and expensive but available to foreign and local investors on same terms with services being primarily available to large clients involved in the sectors of oil, forestry, telecommunications, import-export, and services. The Agricultural Bank of China has opened a new subsidiary in Congo, the Sino-Congolese Bank for Africa (BSCA Bank). The official headquarters was inaugurated on 10 April 2018 by the president of the Congo Republic M. Denis Sassou N’Guesso and the vice president of Agricultural Bank of China, Guo Ningning. BSCA Bank is 50 percent owned by the Agricultural Bank of China. BSCA Bank started its activities in 2015 and since then has installed 30 ATMs (from 2015-2017) and foresees the installation of 50 more by the end of 2018. The total deposits are estimated at XAF 150 billion (around US$268.6 million) in 2017 as opposed to XAF 60 billion (around US$104.5 million) in 2016. Credit granted to the private sector in 2017 amounted to XAF 92 billion (around US$164.7 million), thus representing XAF 66 billion (around US$118.1 million) more than what was recorded in 2016. The informal economy is predominantly cash-based, and commercial banks serve only a small segment of the market with just 5.5 percent of the adult population having a savings account. One reason lies in the existence of cumbersome requirements for opening new bank accounts, resulting in the growth of informal savings (30 percent of the population). There are 75 microfinance institutions (MFIs), 34 of which are independent, and the rest organized under the network of the Congolese Savings and Loans Mutual, Mutuelle Congolaise d’Epargne et de Crédit (MUCODEC). MUCODEC, the country’s largest credit union, provides small and micro loans to businesses and private individuals. In 2014, the overall size of deposits from MFIs amounted to XAF 249 billion (US$442.2 million) representing 13.3 percent growth as opposed to 2013. Total loan granted in 2014 amounted to XAF 63.7 billion (US$113.1 million), representing 8.6 percent growth as opposed to 2013. Several banks, including United Bank of Africa, have begun offering loans of up to US$100 000 to private individuals and small businesses in recent years. SOCOFIN in Congo Republic, Société Générale, La Banque Congolaise de l’Habitat, La Congolaise de Banque and Credit du Congo also offer mortgages to their clients over a seven to 12-year period. The mortgage finance market is still in its infancy but has a huge potential for growth. Very few banks provide medium-term and long-term credit. Nearly 70 percent of loans in Congo require collateral which sometimes exceeds the value of the loan. The Congolese tend to use bank accounts for business purposes more than the regional average; other uses of bank accounts include receiving government payments and wages, as well as for sending/receiving remittances. This is shown by the comparatively widespread use of bank tellers for deposits in Congo, as well as the limited use of advanced payment services such as ATM machines. International Monetary Fund (2015). IMF Country Report No. 15/263, Republic of Congo. http://www.imf.org/external/pubs/ft/scr/2015/cr15263.pdf (Accessed 11 September 2018). International Monetary Fund (2015). IMF Country Report No. 15/264, Republic of Congo. https://www.imf.org/external/pubs/ft/scr/2015/cr15264.pdf (Accessed 11 September 2018). World Bank Doing Business (2018). http://russian.doingbusiness.org/~/media/WBG/DoingBusiness/Documents/Annual-Reports/English/DB2018-Full-Report.pdf (Accessed 11 September 2018). International Monetary Fund (2015). IMF Country Report No. 16/106, Republic of Congo. State gov (2013). Investment Climate Statement-Republic of Congo. http://www.state.gov/e/eb/rls/othr/ics/2013/204624.htm (Accessed 14 July 2018). API Congo (NDA). Services financiers. https://www.apicongo.org/services_financiers.php (Accessed on 19 July 2018). International Monetary Fund. (2015) IMF Country Report No. 15/264, Republic of Congo. The private sector is small and concentrated in the tertiary sector of which 90 percent is mostly composed of smaller units operating along the Pointe-Noire, Brazzaville corridor. The State is the largest employer in the formal sector, followed by large private firms and SMEs offering an average monthly salary of about XAF 150 000 (about US$269). Though rapidly growing, the formal private sector is still very small. Most people are involved in the informal sector. Congo has 57.4 percent of the urban poor with close to 20 percent of poor people living in Brazzaville. Construction costs in the urban and semi-urban areas are high and increasing. It costs about XAF nine million (about US$16 130) to build a standard three-bedroom house in the main urban areas. In the rural areas, the construction costs are lower as most of the houses are built with substandard materials such as locally made sun-dried clay bricks. Based on the 2014 World Bank statistics, an estimated 43.2 percent of households had access to electricity. The 2015 socioeconomic study set the number of households connected to the electricity network as low as 22 percent for Brazzaville and 39 percent for Pointe-Noire. The proportion of unplanned settlements in the two main cities covers approximately 60 percent of the land area, or about 10 000 hectares, with a high proportion of housing stock made from fragile materials. In 2005, these areas hosted 64 percent of households in Brazzaville and approximately 50 percent in Pointe-Noire. This was confirmed by more recent data (2012) from UN-Habitat on Pointe-Noire and PEEDU-funded socioeconomic studies of the two cities (2015) revealed a significant lack of access to basic infrastructure and services in Brazzaville. Both employing 13 percent of the workers. World Bank (2017). Republic of Congo Poverty Assessment Report. The World Bank (2016). The World Bank Report No. : PAD1266, Urban Development and Poor Neighbourhood Upgrading Project. http://documents.worldbank.org/curated/en/484631468195854426/pdf/PAD1266-PAD-P146933-Box394849-OUO-9-R2016-0011-1.pdf (Accessed 11 September 2018). The number of new housing units that enter the market annually for rental and ownership is insufficient to meet the demands of the increasingly urbanized population and the growing middle and upper-class population. A quarter of the Congolese population lives in the capital Brazzaville. The demand for housing has increased without a subsequent increase in supply. This increasing mismatch between demand and supply for housing continues to push up house prices both for ownership and rental. In Brazzaville and Pointe-Noire, housing demand was estimated at 13 550 units per year versus an annual delivery of just two thousand units. 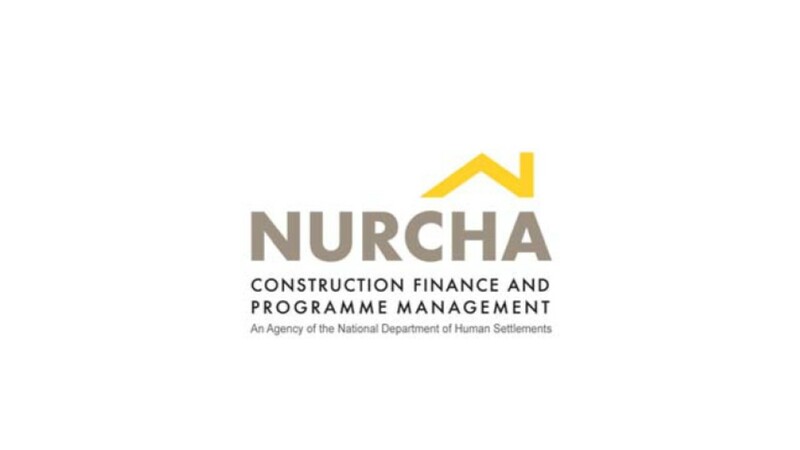 There is an increasing number of local housing companies and foreign developers who are entering the housing market using a Build Operate and Transfer (BOT) model and other initiatives directed towards the development of the housing sector. Most of the new housing developments are driven by demand for high quality housing by expatriate communities. Among the foreign companies, Karmod, a Turkish private developer, has implemented new construction methods through its prefabricated houses and container-based houses to tackle the housing backlog. The “Salon de l’Immobilier,” which was hosted in Brazzaville, has been among the most successful national housing initiatives focused on the challenges to, and opportunities for, achieving sustainable development. Congo introduced the Bank co-financed Water, Electricity, and Urban Development Project (Projet d’eau, d’électricité et de développement urbain, PEEDU) in 2010. Under the PEEDU, a new urban policy was elaborated and detailed in a sector policy letter that provides a reference framework for 2012-2022 with regard to urban sector actions and investments. It defines strategies to promote sustainable development of urban centres, accounting for challenges related to urban organization, land administration, taxes, infrastructure, and service delivery. The Fuller Centre and its partners, the International Partnership for Human Development, Engineering Ministries (eMI), USAID, Embassy Brazzaville and B.L.Harbert International anticipated in 2008 the construction of 24 houses in Makana II on plots of land already owned by the villagers. The residents decided on two-bedroom houses to be made of baked clay bricks with corrugated metal roofs and a front porch. Homeowners will pay the equivalent of US$20 on a long-term, fixed-rate payment schedule. 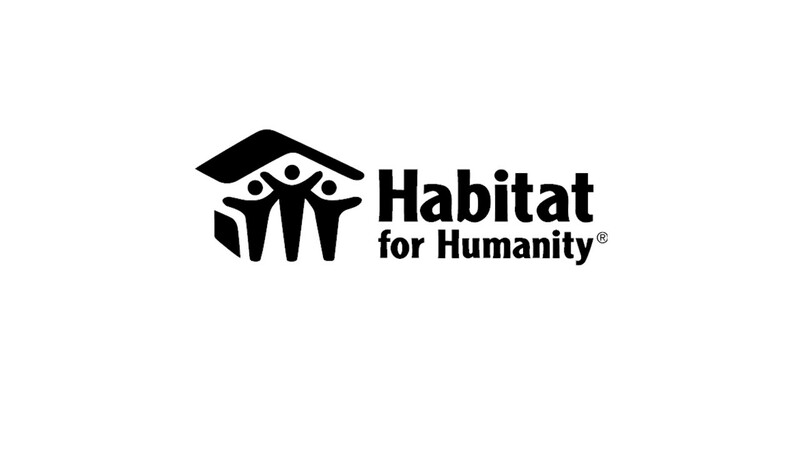 The cost to sponsor a house for a family was US$4 500. The housing construction program in the municipality of Kintélé was ordered by the Congolese state on behalf of EMT Building Subsidiary Alliances. The program sought construction in 2014 of 4 000 residential units and an urban centre with 22 facilities spread over 100 hectares. The total investment amounted to Euros 195 million (around US$228.9 million). In the same locality, the Société Africaine des Travaux anticipated in 2017 under the “accelerated municipalization” scheme, the construction of 3 070 affordable housing over 10 years in several cities such as Owando, Oyo, Kinkala, Kindamba, Sibiti, Madingou, Brazzaville, Pointe-Noire et Diosso. The total cost of the development is around XAF 50 billion (US$89.5 million). A project of at least 10 000 social housing units to be built by the Douja society Promotion Addoha Moroccan Group in the capital Brazzaville and Pointe-Noire commenced in 2014. These homes will be added to those currently under construction in the two cities. In 2016, the Banque Congolaise de l’Habitat started negotiating with Sino Great Wall and the Industrial and Commercial Bank of China the final details of their financing a housing project in Congo Republic. The investment amounts to US$300 million and foresees the development of 1 700 houses per year up to 2019. On an area of ​​three hectares, the area 68 to Manianga located in the 9th district of Brazzaville (Djiri), is a social housing construction project called “Better Living in the neighbourhood.” Work started in January 2016 and a total of 115 units are under construction. Some houses are already nearing completion. This project consists of two, three and four-bedroomed units. The houses are built with sustainable materials, manufactured largely on site. The project is supported by a local bank. The company Maisons sans frontières Congo has projects under way. This includes the ROC-BIME project in Brazzaville which is a residential complex of 1 200 units. It is located in Mount Barnier, in an area of 150ha. Residents will be able to choose from six types of homes, ranging from 500m2 in size to 570m2. The project “Residences Caribbean” in the new town of Kounda is 15 minutes from the Pointe-Noire city centre and consists of 3 000 houses on a 600ha site. The development started in October 2014 and building began on the first houses in August 2015. A smaller housing project is DNS Residences, anticipated in the city of Oyo. The entire complex will have 300 homes, situated on 74 acres of land. This project was introduced in late 2016. African Economic Outlook (2016). https://www.afdb.org/fileadmin/uploads/afdb/Documents/Publications/AEO_2016_Report_Full_English.pdf (Accessed 11 September 2018). Les Depeches de Brazzaville (2016). http://www.lesdepechesdebrazzaville.fr/node/48268. The second edition took place from 31 August to 02 September 2016. Salon de l’Immobilier du Congo (2017). http://www.salondelimmobilierducongo.com/ The third edition took place from 29 – 31 August 2017. Skyscrapercity (2013). Alliances Parie Gros Sur L’Afrique Trois Projets Au Sénégal, En Côte D’ivoire Et Au Congo30% De Croissance Du Ca Dans Ces Pays Dès 2016. https://www.skyscrapercity.com/showthread.php?t=1675626 (Accessed 17 July 2018). Les Echos Congo Brazza (2017). Congo construction des logements sociaux et un marché moderne à Kintele. https://lesechos-congobrazza.com/societe/3554-congo-construction-des-logements-sociaux-et-un-marche-moderne-a-kintele (Accessed 17 July 2018). Jeune Afrique (2016). Partenariat chinois – banque congolaise de l’habitat. http://www.jeuneafrique.com/mag/342123/economie/logement-partenariat-chinois-banque-congolaise-de-lhabitat/ (Accessed 17 July 2018). A few years ago, the Building Public Works sector accounted for 15 percent of the country’s GDP, and the VAT rate in real estate amounted to 20 percent coupled with social housing investment from the State in the housing sector. However, in 2018, the real estate sector has barely managed to avoid the negative impacts of the national economic crisis. A decrease has been noted in social housing development and a drop in rental housing market. In popular neighbourhoods and suburbs in Brazzaville’s city centre, rent has declined rapidly from XAF 1 million (US$1 767) to XAF 500 000 to 700 000 (US$ 884 to US$1 237) a month in suburbs and between XAF 25 000 to 30 000 (US$44 to 53) in popular areas for a two-bedroomed unit. The blatant reality led to more accessible prices, with a new deposit requirement of no more than two months as opposed to six to seven months previously. The decline in the real estate market in Brazzaville has been preceded by a high resilience of rental prices despite the low affordability for tenants. The awareness in the marketplace came from Pointe-Noire where the housing market had dropped already. For instance, in the neighbourhood Warf and its periphery, high prices meant there were no tenants. In this location, rental charges used to start from XAF 5 million (US$8 942), and especially with the departure of expatriate professionals working in the oil sector, it became difficult for the landlord to maintain the high rental prices demanded. The price of land is also prohibitive. In the centre, it takes a minimum of XAF 70 million (about US$ 123 696) to buy a plot of 500m2. In remote areas, prices are between XAF 500 000 to XAF 700 000 (about US$ 884 – US$1 237) for the same. The development of the construction industry is hampered by the recent national economic crisis and the high cost of materials like cement. 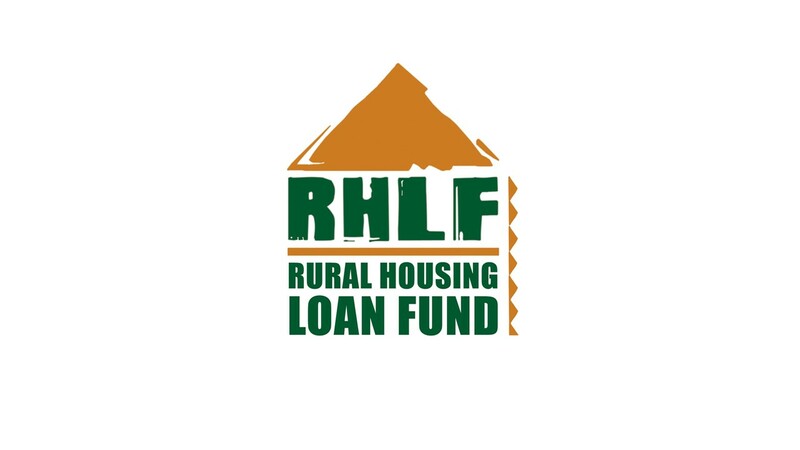 Funding is provided by the National Housing Bank, at least for creditworthy households who have collateral. The rest of the population resort to self-financing, and building stops when there is no money. The property sector is characterised by lack of property ownership and bottlenecks in land registration. The 2018 World Bank Doing Business Report ranks the country 177th in terms of registering a property. It takes 55 days and six procedures to fulfil the process and cost of registration amounts to 16.1 percent. Vox (2017). Le marché immobilier tangue à Brazzaville. http://www.vox.cg/le-marche-immobilier-tangue-a-brazzaville/ (Accessed 8 July 2018). Doing business (2018). Congo Republic: Registering property. http://www.doingbusiness.org/data/exploreeconomies/congo-rep#registering-property (Accessed 12 July 2018). The government has been slow in instituting reforms that address the constraints to housing supply. The main constraints are in the areas of land ownership and property registration (getting land title certificates), access to serviced land, construction and development, and the availability of finance. The Congo Republic made transferring property less costly by lowering the property transfer tax rate. In 2017, it costs 12.3 percent of the property value to register property. In 2018, the World Bank’s Doing Business Report indicates that the nation is ranked 177th in terms of registering property and 125th in terms of dealing with construction permits. On 26 September 2013, the President of the Republic, promulgated Law No. 19-2013 establishing the Sn-HLM (National Society of Low-Rent Housing), which is a public company, under the supervision of the Ministry of Construction, Urban Planning and Housing. The creation of this company is an important step in the improving access to social housing. Congo Republic is party to the Organisation for the Harmonisation of Business Law in Africa (OHADA), a commercial code adopted by 16 African countries that governs investments and business practices. The purpose of this treaty is to harmonise business laws in those countries by developing and adopting simple, modern and common rules adapted to their economies, setting up appropriate judicial procedures, and encouraging recourse to arbitration for settlement of contractual disputes. Law No. 24-2008 on Land Tenure determines the regime for the recognition, possession, use and exploitation of urban land areas of public and private persons. Law n° 27 – 2011 of 3 June 2011 established the Land Agency for Land Development. This creates a public institution of an industrial and commercial nature called the Land Development Agency, which is responsible for carrying out land acquisition operations; the development and disposing of areas of land necessary for the realisation of projects of general interest and to contribute, on behalf of the State, to the collection by the public treasury of the rights and fees relating to the acquisition, development and transfer of land. According to Law No. 17-2000 on the Land Ownership Regime, real property and real property rights belonging to natural or legal persons of Congolese or foreign nationality are subject to the provisions of this law. World Bank 2016 Doing Business Report. Since its accession to national independence and international sovereignty in 1960, the Congo Republic has amassed a significant shortfall in housing which now constitutes a real social problem. As a result, the construction industry currently enjoys a favourable climate for its development due to the accelerated municipalisation policy and the policy of modernisation of social habitats in the country coupled with the recent SEZs enacted in April 2017. This is in line with “Congo, an emerging country by 2025” which is the goal that the government has set. Today, private initiatives are increasing, public and private investors show a notable increase each year in Congo. Several projects are in place, including public-private partnerships. Through these partnerships, more than 3 000 housing units were started, 600 of which are being finalised. To encourage private investment, the government has put in place incentives and an advantageous framework for business taxation and customs. There are huge opportunities for retail, commercial and industrial real estate in the urban and semi-urban areas despite the plunging prices in the rental housing segment. International Monetary Fund (2012). IMF Country Report No. 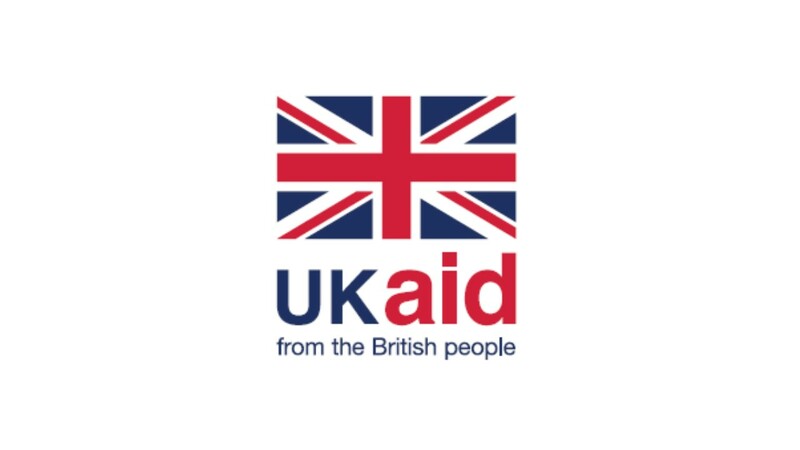 12/242, Republic of Congo: Poverty Reduction Strategy Paper. https://www.imf.org/external/pubs/ft/scr/2012/cr12242.pdf (Accessed 11 September 2018). International Monetary Fund. (2016). IMF Country Report No. 16/106, Central African Economic and Monetary Community (CEMAC). http://www.imf.org/en/Publications/CR/Issues/2016/12/31/Central-African-Economic-and-Monetary-Community-CEMAC-Financial-System-Stability-Assessment-43874 (Accessed 11 September 2018). International Monetary Fund (2013). Republic of Congo: Poverty Reduction Strategy Paper, 2013, Country Report No. 13/226. https://www.imf.org/external/pubs/ft/scr/2013/cr13226.pdf (Accessed 11 September 2018). Salon de l’Immobilier (2016 & 2017). Salon de l’Immobilier du Congo. http://www.salondelimmobilierducongo.com (Accessed 17 July 2018). The World Bank (2016). World Bank, Combined Project Information Documents/Integrated Safeguards Datasheet PID/ISDS. https://www.thegef.org/sites/default/files/project_documents/PCN_PID-ISDS_-_P159835_Revised_0.pdf (Accessed 11 September 2018).